It is said that the inspiration for the Havanaise came to Saint-Saëns in November 1885 while on a concert tour of Northern Europe. On a cold night in Brest he sat staring into the fire when suddenly the sound of the burning wood evoked a melodic idea in his head. The work was originally conceived and written for violin and piano, and the orchestral version was completed in 1887. It was dedicated to the virtuoso violinist Raphael Diaz Albertini. 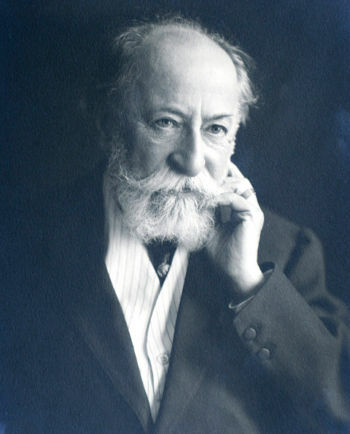 Saint-Saëns' main passion, apart from music, was for travel. He visited many countries including Algeria, Argentina, Ceylon, Egypt, Russia, Scandinavia, Sri Lanka, the United States, Vietnam, and Uruguay for which country he composed the National anthem. He frequently used idioms learned on his travels in his music, particularly those of North Africa. The havanaise (habañera in Spanish) is a dance in 2/4 time, with a characteristic four note repeating rhythm. It originated in Havana in the mid nineteenth century. In contrast to Bizet's famous habañera in Carmen, Saint-Saëns uses the Latin American idiom with restraint. The characteristic four note repeating rhythm is heard quietly in the cellos at the outset, accompanying the soloist who plays a lyrical, romantic melody in a triplet-duplet rhythm which permeates the piece. The gentle and reflective mood recurs regularly, often accompanied quietly by the havanaise rhythm. It is contrasted with fiery episodes full of virtuosic passages for the soloist. The piece ends calmly and quietly with a high E from the soloist. Saint-Saëns Havanaise was performed by the Portobello orchestra on the 26th March 2011. The solo violin was played by Mihkel Kerem and the performance was conducted by Anthony Weeden.